KAOLIN is an aluminium silicate clay mineral with the common name CHINA CLAY. Traditionally used in ceramics, it is also used as industrial filler in a variety of applications such as adhesives, rubber, paint and laundry soap bars. 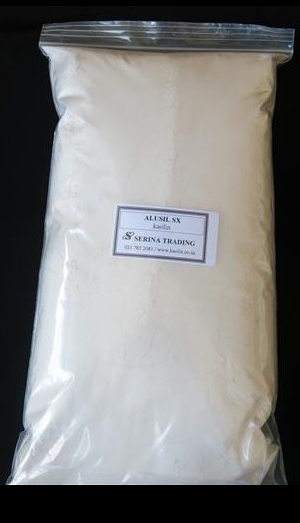 We supply locally milled kaolin as well as several imported water-washed kaolins which have lower free silica content. Refer to our technical specifications. Find out more about kaolin.